THE PROS AND CONS OF HPA! VALKEN AIRSOFT WEAPON SYSTEMS. So those of you who have been following the blog over the last four weeks will have seen my December HPA series where thanks to Valken I have been exploring the world of HPA! 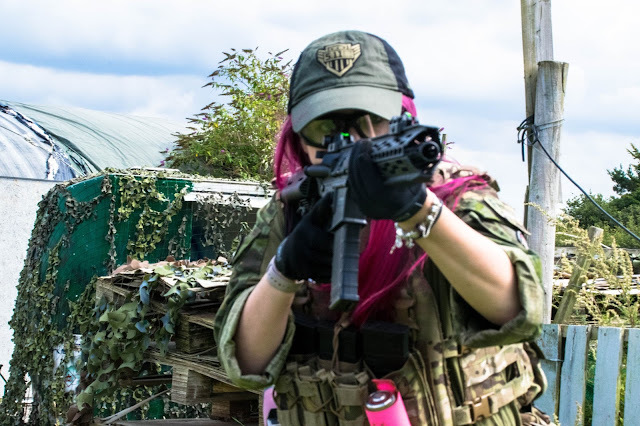 From the set-up itself and what is needed to run HPA, to reviews of one of their HPA airsoft guns and even HPA specific kit I’ve looked at all the aspects of the system. Now is the time, after running the set-up through its paces, to consider the pros and cons of HPA and decide if I’ve become a HPA convert! Since I started playing airsoft 3 years ago I have been an almost exclusive AEG user, opting for the simplicity of battery powered airsoft guns. I have dabbled in GBBRs and HPA only a couple of times but never set myself the challenge of running ONLY HPA for an extended period of time. Over the last 2 months, I’ve really enjoyed learning about and using a HPA weapon system, from the range and consistency they have out of the box. The pros for me heavily outweigh the cons and are as above. What I love about HPA systems is that they are really fun to use, they are consistent and perform well in any weather! Unlike GBBRs they aren’t affected by cold weather which really helps during winter in the UK! How quiet they are definitely gives you a tactical advantage, especially in woodland environments which is really helpful for sneaking around and picking off the enemy team. The internals of the weapons generally goes through less mechanical stress because of the nature of HPA weapons too, which prolongs the life of the weapon – great for those of us who play week in and week out. The steady airflow makes them more consistent and when you pair this with the instant trigger response, they are a pleasure to use. The cons of HPA are as follows: you will always have a tank and line connected to you which means added weight and the line can get snagged on objects when you’re running around so this has to be taken into account, you still require a battery in the system to power the FCU and the tanks need to be filled regularly by individuals who know how to do so safely so there is definitely more to think about than a regular HPA gun! Many people describe the transition to HPA as ‘learning how to airsoft again’ which I wholeheartedly agree with! HPA systems are definitely something you want to read the manual for - when I got this out of the box and hooked it all up I managed to completely mess up the nozzle timing settings (meaning it didn’t feed) when playing about with the FCU. 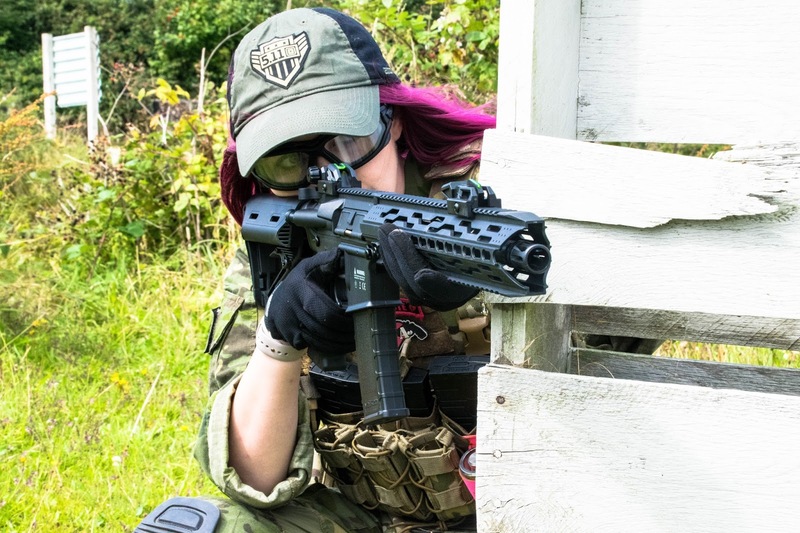 The adjustment to HPA is an interesting one as there are so many other factors to think about, from learning how to use the regulator to setting the pressure it can be a little overwhelming but once the rifle is set-up it general needs very little maintenance. At the start, I wasn’t quite convinced on running HPA systems but after seeing the performance outdoors I definitely feel like I’ve been converted.